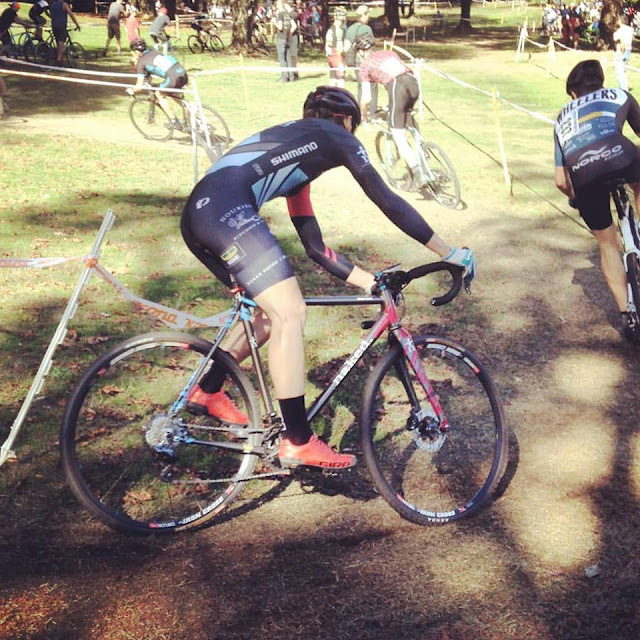 Wowzars, the first month of the 2015/2106 cyclocross season season is already over and done with. What a whirlwind of amazing races every weekend, and even some competitive mid week races. 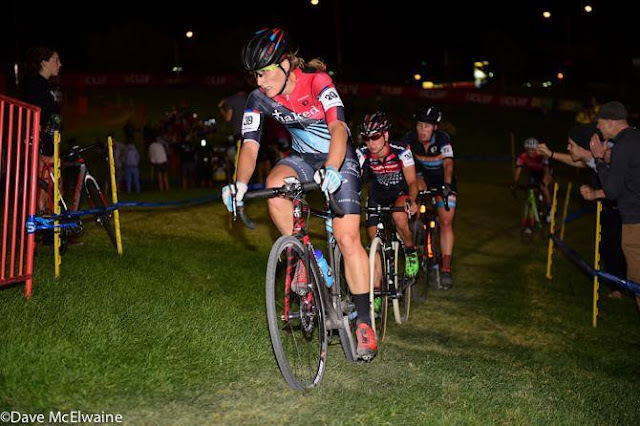 The Wednesday night underground training races have been getting bigger and bigger every season and my beginner pre-rides are getting upwards or 20 people…..I need to work on a bigger outside voice! 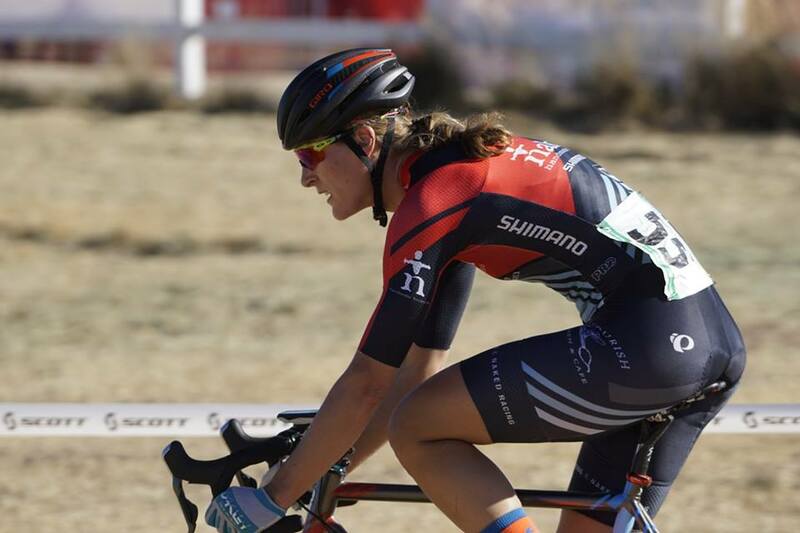 I’ve been so proud to sport my new set up this year at all the events and training, and the sport of cyclocross is blowing up on the west coast. My season started off with a win at the first V-CX-C (http://vcxc.ca) in Fort Langley, with a hot dusty day of a good mix of totally not UCI legal singletrack and strategically placed hub deep mud pits. This series has grown rapidly over the past couple years and it was amazing to see over 300 people at this event. Next off to one of my favorite venues, the COTR (http://www.crossontherock.com) series always starts off with the Cumberland Coal Cross. Having had a morning shift of work I made it just in time to heckle for the Waverly cross on the Saturday night, which is possibly the only bike race in the world that takes you right through the middle of a pub……yes, that’s right! I took the win in one of the largest women’s field to date on the Island in Sundays race through the campground in a course that sported a lot of tight turns, gnarly loose gravel descents, a long beach section and a nasty run up. Quick turn around, driving home and packing up both my Naked Bicycles (http://nakedbicycles.com) and flying out to Vegas for the first World Cup (http://www.crossvegas.com/25/index.php) of the year. Gaaaah, so early!!!! I felt strong and excited heading into this event, and had some big but realistic goals of a top 15, but the pace and the changes to the course ate me up and spit me out. Having raced this race four times before, I knew that if I went out too hard I was really going to pay for it…..but you know when you’re right up there with the big hitters and you get all excited and keep pushing above your limit….yup, totally rookied that race. After really suffering for the middle 2 laps, I was able to find a second wind and make up 4 spots in the last lap and finish 28th (which is my best CX World Cup finish). The events that push your limits, both physically and mentally, are the events that you learn the most from, and there was a lot to take away from this race. To finish off a west coast holy cross of cyclocross, I made the very exciting 8 hour drive north to Reno for the first CX Reno (http://cxreno.com). Being a non UCI course, Teal Stetson Lee was able to put in some really interesting features on course that reminded me why we love this goofy sport so much! Nothing like a hay pit and a gnarly loose off camber downhill to spice things up. Due to a long run up I opted to pull my bottle cage off, but this proved to be a mistake….you know when the little flapper at the back your mouth sticks to the top of your mouth it’s too hot and dry…..it is the desert Mical! After a blistering start tagging along behind the Luna girls I went down in a corner after following too close to a Rock Lobster racer that went down. Jumping up to find my hanger bent, handlebar and shifters rotated, I went for my first pit of the season. After a comedy of errors I ended up having to run a half lap with my pit bike to grab my start bike again (thank you to the pit angel that straightened everything out for me), and charged back hard to finish well off the pace in 11th place. The highlight of this weekend was the beautiful post race ride up at Lake Tahoe with a big group of cyclocrossers and mountain bikers. Next weekend brought us to another COTR at the Tugboat cross in Ladysmith (the birthplace of Baywatch’s Pamela Anderson for some UFI https://en.wikipedia.org/wiki/Pamela_Anderson). 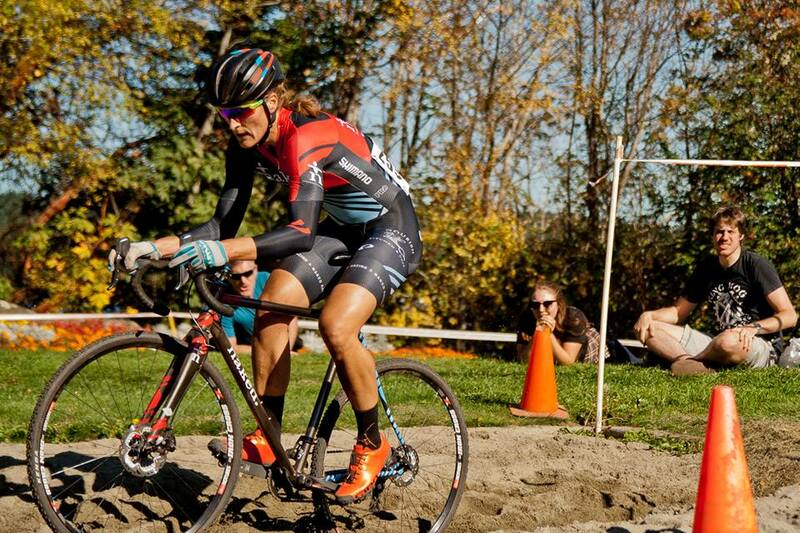 Easily the biggest cyclocross race in BC, possibly in Western Canada, and maybe even in Canada?? There was a huge turn out of over 360 people!!! I opted to raced with the Expert Men this race, and it ended up being a really fun and hard race battling back and forth with a group of about 6 dudes through the tight grass corners and long sand pit, finishing in 16th place making a pass in the sand pit with 2 guys took themselves out. To finish off a busy month of racing I flew back out east to catch the tail end of the true Holy Week and one of my favorite US races at Providence and the KMC Crossfest (http://kmccrossfest.com), and the first double header of the year. Watching the forecast all week I was really excited with the imminent rain and nasty weather…..there was a hurricane scheduled to hit….and packed my mud tires and wet weather gear. I think I’d like to be a meteorologist in my next life, you can be wrong 90% of the time and still have a job!!! 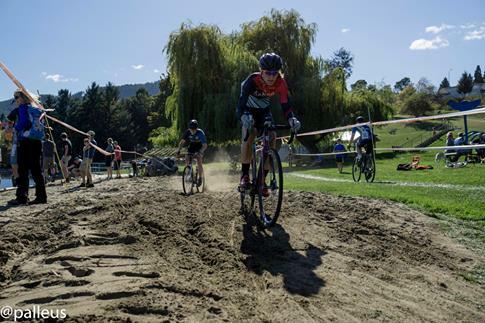 The ground dried up and it turned out to be hero dirt for the weekend….file treads were the tire of choice on Saturday….not mud tires :$ With pro women’s fields of 65 racers, the atmosphere and energy of this weekend is amazing. Fast downhill road start, hard left and right into a steep loose run up, lap one if you weren’t in the top 3 up the run up, I was at a stand still with the bike in front of me hitting me in the head and the racers behind me pushing me and yelling. This bottleneck ended up stretching the field out well and the rest of the race was a game of chase. I had a decent start and had some great battles on this fun course, finishing in 16th place on Day 1. Struggling with my recovery after the hard effort, Day 2 was a not a pretty race…..on a positive note, I did manage to outsprint the super strong Crystal Anthony for a 22nd place finish. Thank you so much for the all of the support this season, you have no idea how much this means to me! Getting ready for some lactate acid and VO2 Max testing today, gaaaah, and the final touches on my prep for Nationals in 2 weeks! Here’s what’s left for the race season, So much fun! I laughed at the meteorologist being wrong 90% off the time yet his job is secure. Anyway, it's good the ground dried up. I wouldn't want to be in a bottleneck on a muddy track.